NVIDIA’s Tegra 3 SoCs have yet to make their full impact on the market, but the company appears to have big plans for the future of their processor line. NVIDIA had already revealed that the next-gen Tegra would be codenamed “Wayne”, and now a few extra details may have been unearthed. 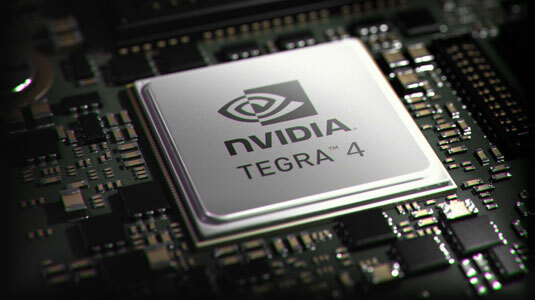 According to Chinese tech site VRZone, the first Tegra 4 system-on-a-chip should be officially released in Q1 of 2013. The first flagship model, dubbed the T40, will be first out of the gate and brings with it a 1.8GHz Cortex A15. Unfortunately, the rest of the lineup won’t be out till Q3 of 2013, including the T43- a 2.0GHz flagship model and the AP40- a mainstream 1.2-1.8GHz chip. While the previously listed models are all intended for 10” devices, the roadmap also displays a unique SP3X for 7” tablets. The Sp3X, which will also be out in Q3 2013, runs at 1.2-2.0GHz and could be the first Tegra chip with LTE100/HSPA42. While there has been no official confirmation of the leaked roadmap, it does provide an interesting path for NVIDIA. The inclusion of LTE in the SP3X model could be a huge step forward for the company, but the Q3 launch date for the majority of the chips could end up being their Achilles heel.